للمسافرين الذين يرغبون أن يعيشوا كل ما تقدمه المدينة، Oaks 212 Margaret Apartments هو الخيار الأمثل. يسهل الوصول إلى هذا الفندق ذو 4.5 نجوم من المطار، فهو يبعد عنه مسافة 15. Km فقط. إن سهولة الوصول من الفندق إلى المعالم السياحية الشهيرة الكثيرة في المدينة هو استثنائي بحد ذاته. كما يقدم Oaks 212 Margaret Apartments الكثير من الخدمات لإغناء رحلتك في المدينة. يقدم الفندق فرصة للاستمتاع بشريحة واسعة من الخدمات بما فيها: تسجيل وصول/خروج سريع, تخزين الأمتعة, صف السيارات, خدمة الغرف, غرفة عائلية . تنعكس أجواء Oaks 212 Margaret Apartments في غرف الضيوف.تلفزيون بشاشة مسطحة, غرفة معيشة منفصلة, اتصال لاسلكي بالإنترنت, غرف لغير المدخنين, مكيف هواء هي بعض الميزات الموجود في العديد من الغرف. كما أن مجموعة الخدمات الواسعة الموجودة في الفندق لضمان راحتك تترك لك الكثير من الخيارات لقضاء وقتك أثناء فترة إقامتك. إن Oaks 212 Margaret Apartments هو خيار ذكي بالنسبة للمسافرين، فهو يوفر إقامة هادئة ومناسبة للاسترخاء. مكتب الإستقبال مفتوح من 06:00 صباحاً إلى 10:00 مساءً الضيوف الذين سيصلون خارج هذا الوقت يطلب منهم التواصل مع العقار مباشرة قبل موعد الوصول لترتيب هذا الأمر. بالنسبة للنزلاء الذين يحجزون غرف بها غرفة نوم واحدة أو غرفتي نوم بدون خدمة تنظيف، سيكون لديهم أماكن محدودة لإيقاف السيارات؛ حيث يخضع هذا للتوافر عند الوصول إلى الفندق. إذا كان مكان انتظار السيارات بالفندق ممتلئًا بالكامل، فسيساعدك فريق العمل بالفندق على العثور على مكان آمن لإيقاف السيارة في أحد المواقع القريبة. We arrived early and were able to check in immediately. This apartment block is close to the Botanical gardens, beautiful for a wander. Not far from the river and restaurants. Easy walking to and from the apartment, staff helpful. We loved our stay. The room had everything you might need when staying. Quiet too. Look the plumbing was frustrating, I hate wasting water trying to make a shower the right temperature, and the carpet was a bit tired but I would be happy to stay here again, the staff were great and accommodating. I really enjoyed my stay here. Was so close to everything, the staff were so, so helpful and my room was spotless. Only issue was construction outside my balcony was so noisy at a really early hour but what can you do. It's no fault of the hotel. Otherwise I can't flaw a single thing. Quite a nice place to stay. It is close to the city. Nice view. The only problem is they are charging a credit card fee even if you are using a debit card. The fee was not a lot, but still something to improve. 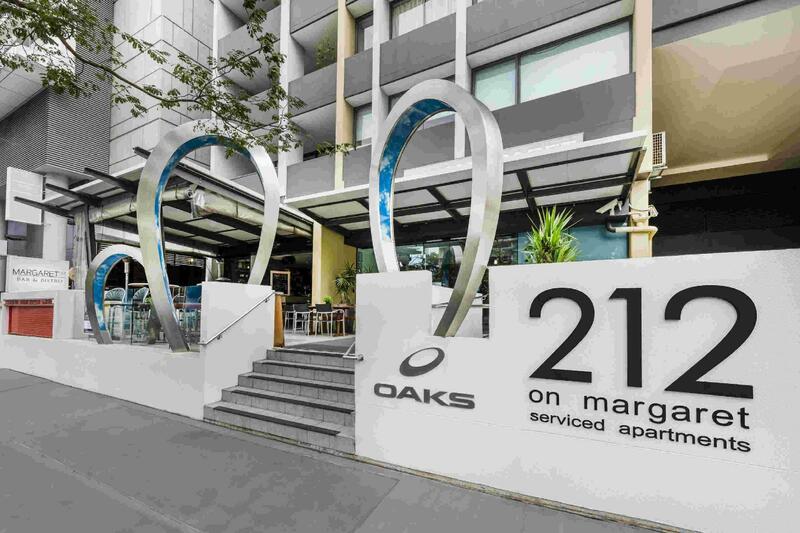 Oaks 212 Margaret is centrally located in the Business District of Brisbane. There are many restaurants nearby. Queen Elizabeth Mall is 5 minutes walk. Unit where we stayed was clean. Beds were very comfortable. Kitchen was adequate but we did not do any cooking inside the unit. There was a large balcony overlooking the river and park. We had to pay for parking of for one day. You have to pay for internet access. 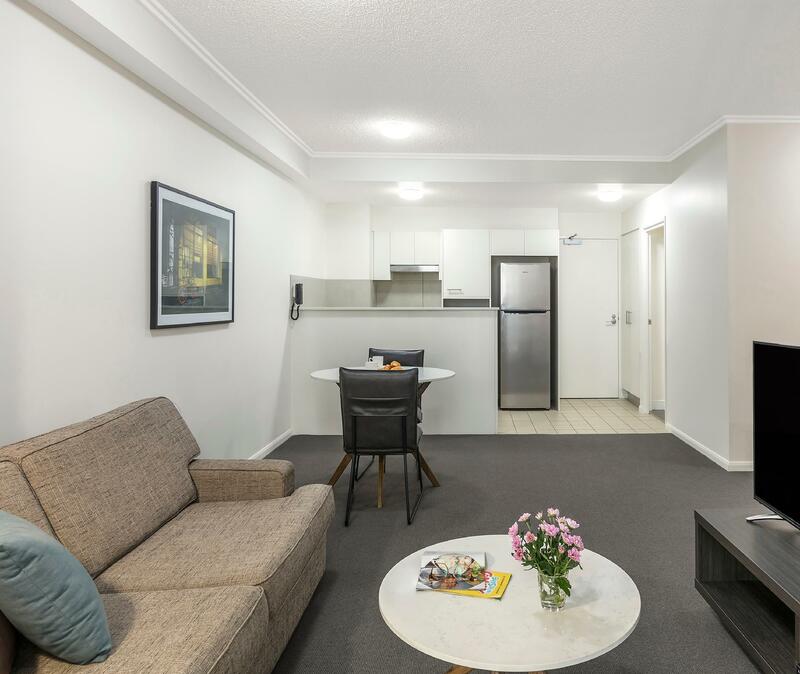 The attractions of downtown Brisbane are all within walking distance. We enjoyed our stay and were fortunate enough to be on the top floor. It had a lovely view of the city and was clean and well maintained. We will be back as it was close to the mall and good eateries. The room is spacious and clean. There is also a beautiful balcony, which can be enjoyable. The apartment is fully equipped with a living room, kitchen, bathroom, and bedroom. Suitable for a small family. There is no service, restaurant in this apartment. But it's not a hotel, so its OK. The room is spacious and clean. There is also a beautiful balcony, which can be enjoyable. The apartment is fully equipped with a living room, kitchen, bathroom, and bedroom. Suitable for a small family. There is no service, restaurant in this apartment. But it's not a hotel, so its OK. I will come back to this comfortable and self sufficient apartment again in future. Perfect location as we were attending a concert at Riverstage. Clean & walking distance to everywhere. Just like all the others, when we got there we were told that the hotel was overbooked and that we had to move to Oaks on Felix, which I had no problem. However even though the reception at Magrat told us that we didn't need to any extra charge, Oaks Felix charged us 50 dollars for parking for 2 nights. Not very satisfied with their typical "overbooking" saying and extra parking fee. For those planning to book this hotel, I suggest you prepare to be moved to somewhere else. Firstly, we got to the hotel, only to be told we had been shifted due to overbooking. We then went to the other oaks around the corner, only to find out there are more than 2 oaks in very close vicinity. After finally finding our hotel - we got to our room and it was outstanding. great views, very comfortable and location. The staff were fantastic as well. Great apartment with spacious room. 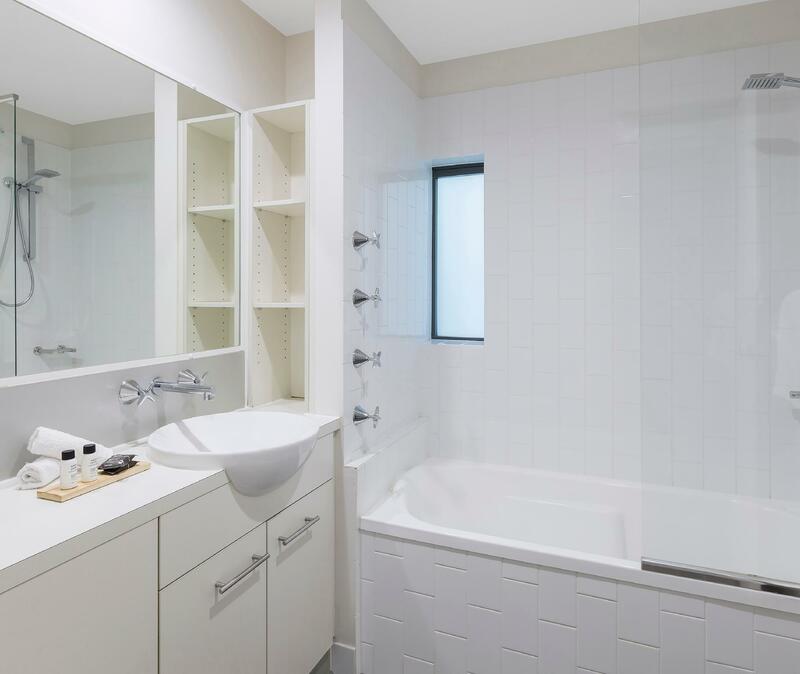 The rooms are fitted with kitchenette and washing machine/dryer. We like the location of the Oaks 212. It was just minutes away from Queen street for shopping. As for dinning, the eagle street pier is just 10 minutes walk where we can get waterfront dinning experience. 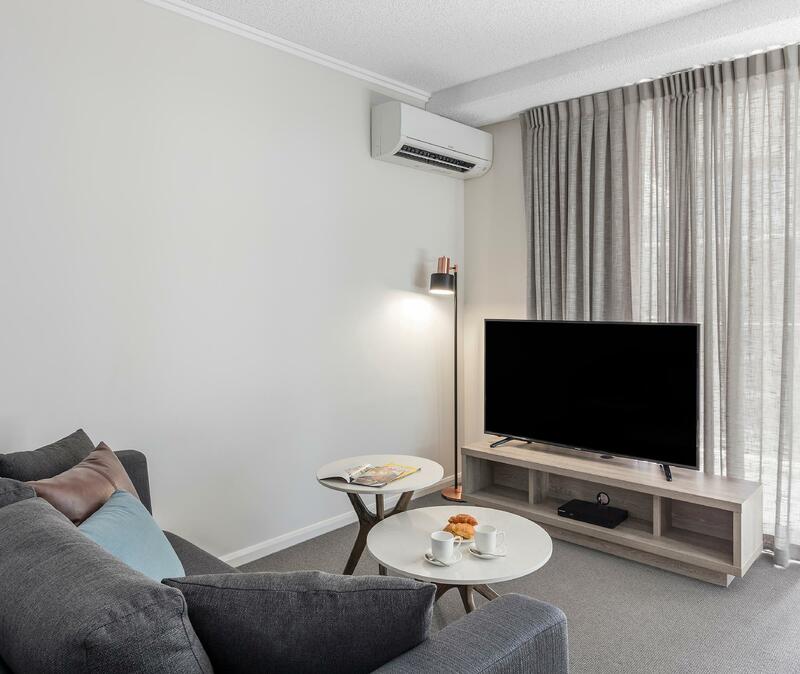 The rooms are clean and spacious and it was fitted with kitchenette and washing machine/dryer. 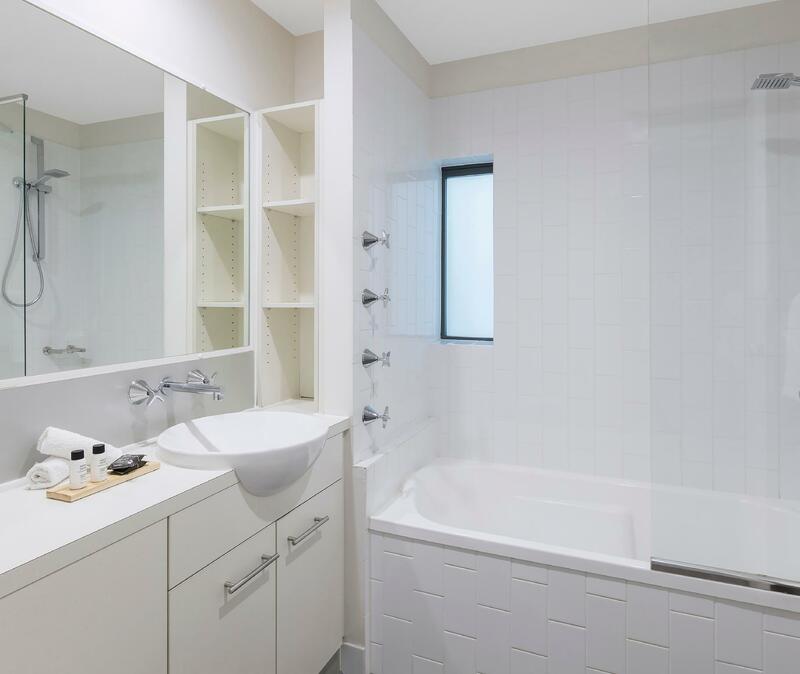 Location, accessibility to city and two car rental hire company's around the corner. Pleasant stay and comfortable bed,however bathroom was in need of a makeover. Shower was over a tiny bath that was slippery and ventilation and lighting was poor. Location and value for money was very good. Great experience at the Oaks 212. Staff were welcoming and friendly, hotel is in a fantastic location and rooms are spacious. The only negative I could point out about this fantastic hotel was that I thought the bath could have been cleaned better (there were traces of mould around the shower). All in all great experience. I would definitely book this hotel again. Electric kettle was leaking on our check-in & despite report to Reception, a replacement was obtained only after we sought help the following morning from housekeeping staff doing his rounds. Other then this, no other complains & apartment was well furnished & equip with full cooking utensils. Had a hassle free stay in Brisbane. Apartment was clean, a good size and serviced daily. Staff were helpful. On the downside - internet is expensive, lifts take forever and the gym is almost non-existent. We had a fabulous stay. Our 11 year old daughter met vistors from overseas her own age and enjoyed the time at the heated pool and gym. We would recommeded 212 on Margaret to all. It was a short walk to Queen Street for shopping and the reception staff were very helpful when directing us to places to eat out.